Get ahead on your 2018 Goals and Feel confident in setting your appointments with our Phone/Email script and interview questions. Click the button to get access. It always amazes me when we get to the end of yet another year and it's time to reflect and look forward to next year. Time is fleeting and if ever we need a reminder of that, the end of the year is always a good slap in the face of time keeps moving whether we do or not. I actually love this time of year. I find it almost therapeutic to look back on the year and take time to reflect on the things we've achieved and the things that we missed. In fact, we all would probably be a lot more productive if we took this time once a month to reflect. But the reality is most of us really only find the time to do this at the closing of another year. 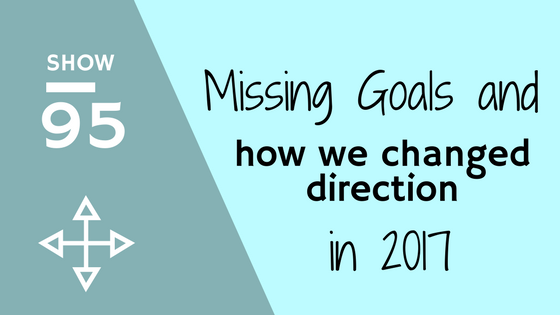 In this episode, Kirk and I discuss our 2017 year in real estate and how we actually missed most of our goals. But not because we weren't busy in the real estate world, we shifted our focus a bit and began going after other types of projects. For instance, we completed our first flip this year which took up a fair amount of time and capital. But it was a great learning experience and we are excited to share what we've learned on the process and to do it again. One of the most important things that I think this episode will help you all realize is that we all miss goals. No one is perfect and we can't expect to be. But in taking the time to reflect and think renewed for the new year is critical to our success.